The freedom of freelancing doesn't come without its stressors. Hustlers, gig workers, independent contractors: There are plenty of ways that people refer to freelancers, and not all of them have the best connotations. While “hustler” isn’t always a term I’d like to be associated with–images of ripping people off, selling something illegal, or tricking someone into a purchase they don’t want to make come to mind–it’s true that a full-time freelance career takes a certain amount of grit and grind. And hey, when you’re acting as your own boss, accountant, and marketing manager, it’s easy to get overwhelmed. 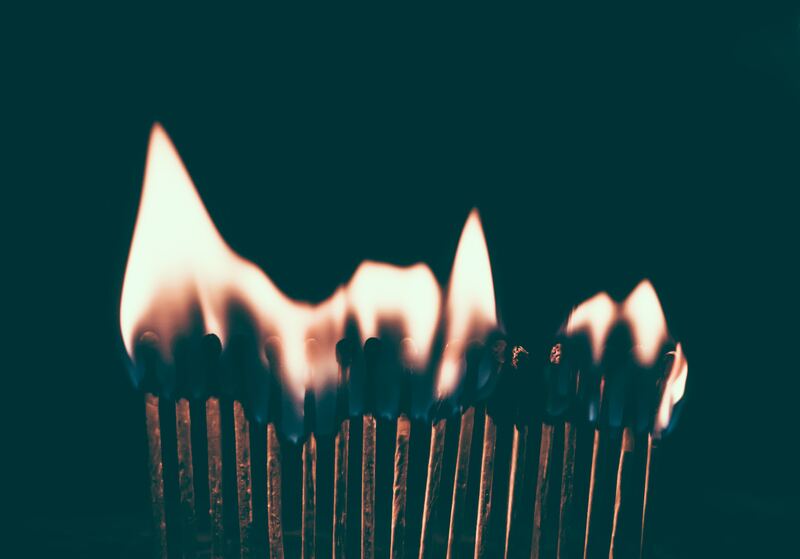 Millennials may get a lot of flack for being known as the burnout generation, but there’s a lot of truth to why we’re more likely to burn out than our older cohorts. As members of younger generations increasingly turn to freelance work in favor of traditional career paths, it’s important to learn how to balance the often overwhelming freedom that comes with a career in the gig economy. Would it be tough to only write statistic-heavy sales emails all week? Of course. But one or two of those peppered in with a more compelling story about the future potential of chatbots and my ever-engaging podcast client, and I have enough exciting work to offset any less interesting project burnout. One of the most appealing things about freelancing can also be the most challenging. The freedom from a traditional work schedule means you can work at odd hours and while traveling if needed, but if you don’t set a schedule for yourself, it’s hard to feel like you’re ever really off the clock. Work has a way of looming over those happy hour drinks or a Saturday afternoon in the park if you haven’t set aside a specific time and place for it to live. Creating a designated workspace–whether it’s a coworking office, a coffee shop, or a desk in your home–is key to separating work from non-work. As appealing as it is to work from bed, it’s not exactly the best for productivity. Scheduling specific working hours for yourself ensures that you feel like you can step away from work when you need to. Striking this balance can be tricky, and it’s something I’m very much still finding for myself. I’m more creatively energized in the evening, and I often prefer to dive into an assignment at 6 pm, but that doesn’t mean I have to reply to a client email that comes in at 10:15 that night. Dedicating clear weekend or off days is important in the same way. There’s nothing worse than feeling tied to your phone or computer when you’re trying to make time for friends and family (and let’s be honest–no one wants to hang out with the person who can never seem to escape work). As a terrible math student whose go-to budgeting strategy has historically been “guess,” this was a hard (but certainly necessary) freelance lesson to learn. Budgeting is certainly the least glamorous part of freelancing, but getting good (or just not terrible) at it is the only way to make a freelance career work. Apps like Qapital and QuickBooks Self Employed make the dreaded task of filing freelance taxes a little smoother, but that’s still only part of the battle. Locking in retainer clients is one of the best ways to ease the stress of monthly bills — though keep in mind that even consistent assignments can fluctuate from month to month. Fill out your stack as much as possible at the beginning of the month so you can figure out how many other pieces you might need to pitch. Conversely, taking on every assignment that comes your way is one of the quickest ways to bury yourself in a dark, dismal hole of work work work, with none of the freedom and life-balance benefits that drew you to freelancing in the first place. If you can afford to say no to a project, sometimes your mental health and the quality of your other work requires it. Having a grasp on how much work you’ll need to produce in order to meet your budget and maintain some semblance of a life sounds like a no-brainer, but it’s easier said than done and might take some trial and error to get right. One of the best lessons I’ve learned from working with podcast host/author/keynote speaker Jay Acunzo is the value of side projects. As freelance writers, we’re naturally creative people, and we probably have interests that fuel some sort of creative fire in us but don’t necessarily pay the bills (yet). You may have even gotten into freelancing to help support or learn more about those other projects, be it writing poetry, finishing a novel, making music, sculpting pottery…you name it. I’m a cellist and part of a folk band, and one of the most incredible perks of freelancing for me has been the ability to write while my band tours or schedule an extra hour of sleep after a late weekday gig. One of the most beautiful things about freelancing is ideally getting to dedicate time to your passions that you might otherwise be too tired to complete or unable to schedule. I’ve always found that my freelance writing improves when I’m also creatively fulfilled in other ways. It’s a chain effect: When I’m tapped into creating music or my “fun” fiction writing, the more honest and thoughtful my B2B work becomes. Creativity begets creativity begets creativity, and as long as you take some mental breaks so you don’t totally zap your energy, following what you want to make will only further inspire and enhance the writing that pays your bills and lets you eat. The sometimes unpredictable, less-structured freelance life isn’t for all writers, but the ability to create your own hours and work on a variety of projects is a game changer for plenty of us. When the prospect of drafting one more pitch email feels like it might run you into the ground, sometimes it’s enough just to remind yourself that it beats being tied to an office desk all day. And when that’s not enough, remember the value of little ways to give your brain a break like taking a walk or stretching. Coming back to an assignment after getting your blood flowing helps fan the creative flames and fight momentary instances of burnout along the way. I write mostly about culture, technology, and media, and love uncovering the surprising, genuine human moments of everyday life. I currently work with Find A Way Media and Lighthouse Creative ghostwriting articles and social posts for B2B and media clients, and I’m a podcast producer with Unthinkable Media. I also play cello and sing in an indie folk band called Cardboard Rocketship.